Anyone looking for August bloom needs to consider Dublin Elaine. Registered as mid season, we would call it Mid-Late in our gardens, starting the middle of July and blooming through August into the early part of September. A little taller than most, DE will stand out in the Late summer garden. This attention getting, warm pink double is definitely a contender for the most vigorous and most prolific bloomer in a mature clump. DE is both a bud builder and a rebloomer that puts up new scapes before the primary scapes are finished, resulting in 6-8 weeks of bloom. 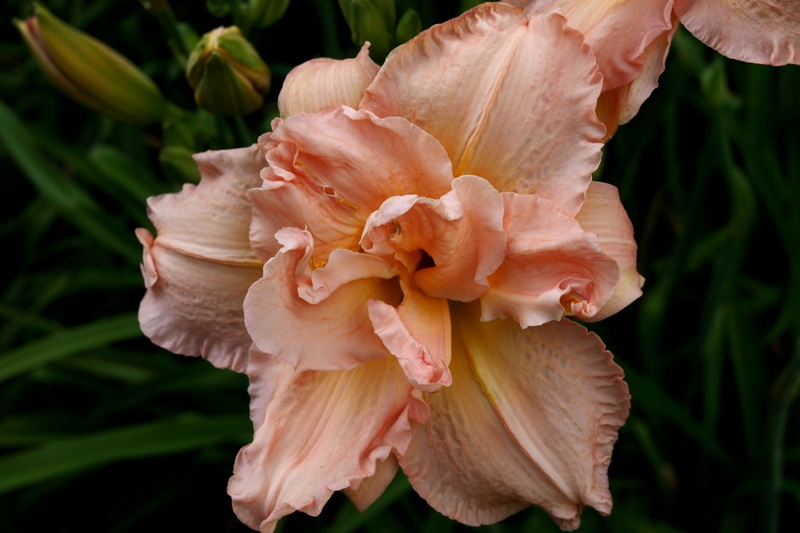 We have long held Enman Joiners doubles in extremely high regard - This is a 1st choice daylily.